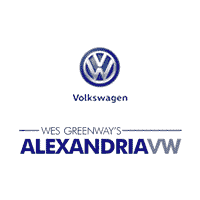 If you’re in the Arlington area and are looking for a 2013 VW Beetle, 2016 Volkswagen Beetle, like new Volkswagen Beetle Convertible, or a Classic Volkswagen Beetle for sale, visit Alexandria Volkswagen. Even though you’re on the hunt for a used vehicle, you can still get a German-engineered quality model and the Alexandria Volkswagen dedication to customer service. Browse our inventory of used Volkswagen Beetle models to find the vehicle that meets your needs and budget. Whether you’re buying a new or used Volkswagen Beetle, you can always expect a hassle-free experience when you visit our team at Alexandria Volkswagen. We’ll walk you through the Beetle’s available features, your financing options, and get you on the road in Springfield driving your dream car. Browse our used vehicle specials and save even more on your used Volkswagen Beetle purchase! Contact us today with questions about the used Beetle or to schedule a test drive.